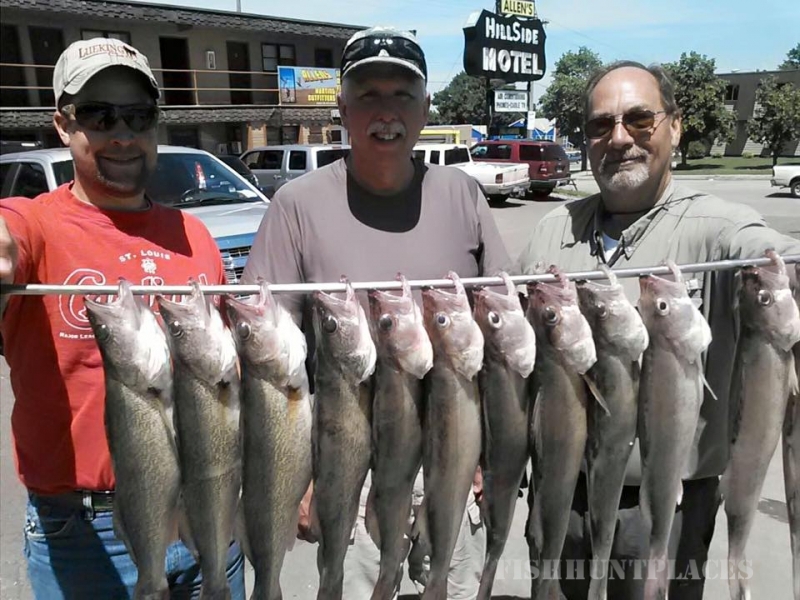 There’s no question about the Missouri River being a great walleye fishery. There are lots of deep and shallow gravel pits and sunken islands throughout the entire river system. I believe there are many great walleye waters in the US and Canada, but by far there is no other area than the Missouri River near Chamberlain that will compare with the numbers of 1 to 3 pound class walleye that are caught each year. There is also the possibility of an 8 or 9 pound walleye to be caught, both on Lake Francis Case and Lake Sharpe. Lake Francis Case and Lake Sharpe are high quality walleye lakes managed by the South Dakota Department of Game, Fish, and Parks. The 98% limit success explains it all!! 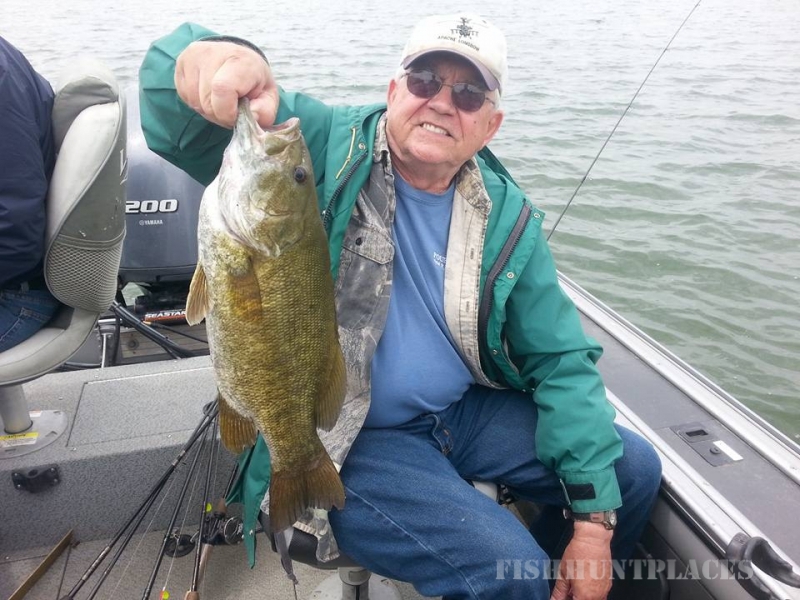 The top professional guides on the entire Missouri River system headquarter and guide out of Allen’s Fishing and Hunting Lodge in Chamberlain, South Dakota. 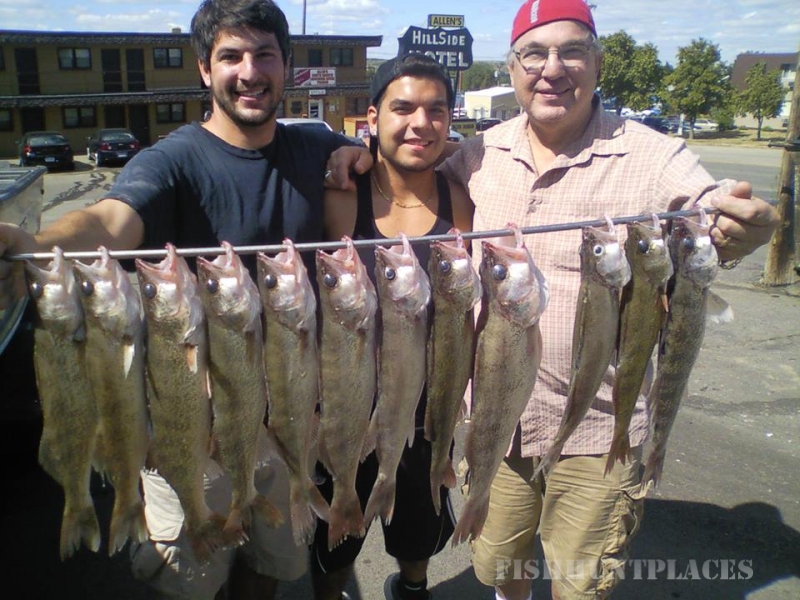 Where else could you fish walleye and have professional guides who run 18 – 20 foot boats with either 150 or 200 horse motors and with the best electronic equipment on the market and consistently catch limits of walleye everyday from April through September? 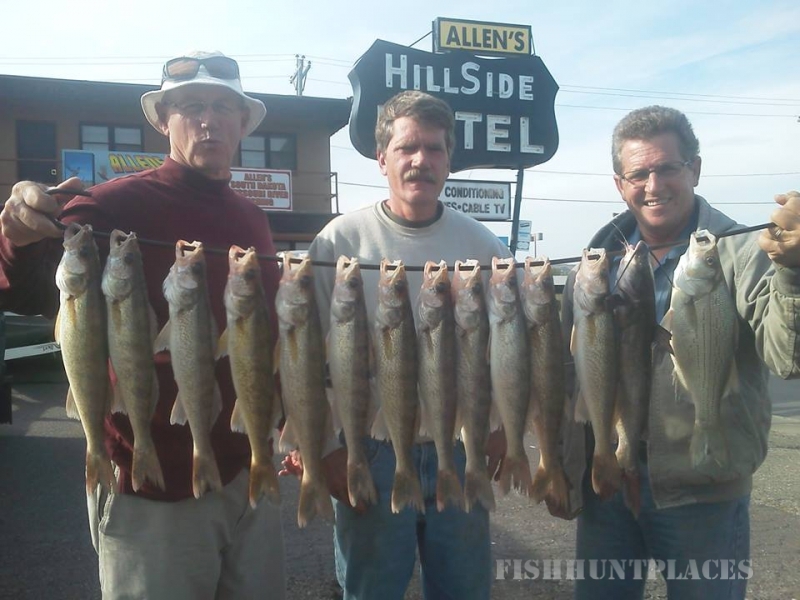 At Allen’s our goal is to give you the most enjoyable walleye fishing trip to be found anywhere. Our hunters who stayed here last fall and hunted on our land said it was the finest they had ever seen in the midwest. Our packaged hunt includes field lunch, continental breakfast, transportation, dogs, and cleaning birds. We have labs and shorthairs. 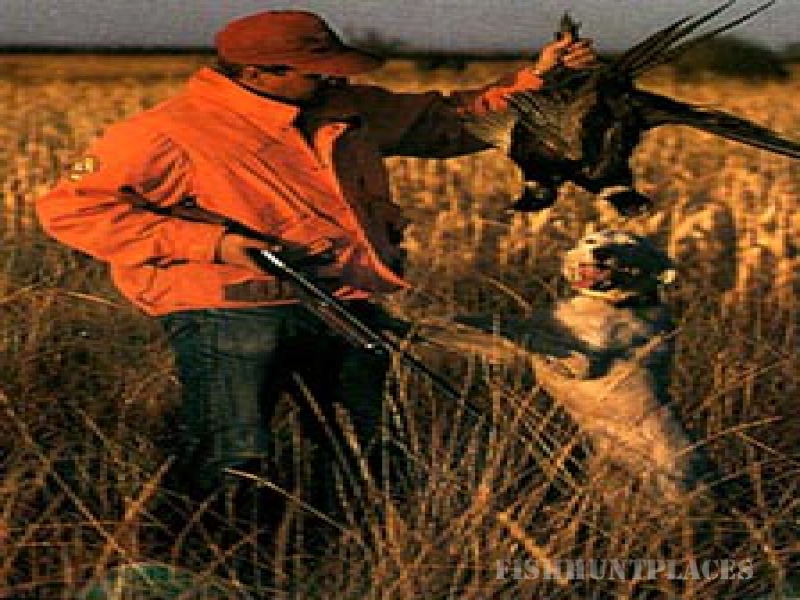 If you have a good hunting dog, bring the dog with you, along with plenty of shells. Comfortable Accommodations with world class pheasant hunting. 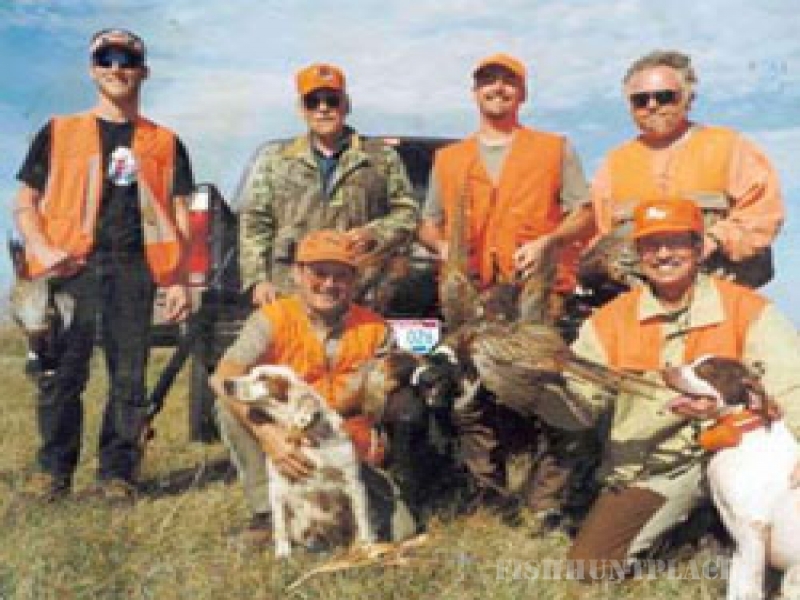 November waterfowl hunts could be included with a packaged pheasant hunt depending on migration.